Broomall, PA – (ca. 2015) Greeks Love their music. On many a given evenings they get together and just play. It’s usually over a glass of wine or Ouzo, which is accompanied by meze. The playing can go on through the night. 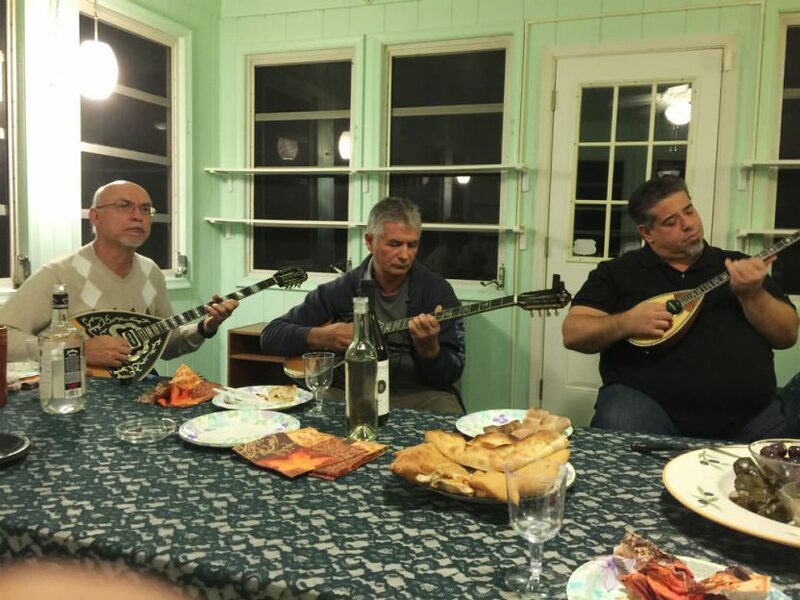 In this photo, Dimitri Hatzipapafotiou-Bouzouki, Pete Mihos-Bouzouki, Jim Nicolaides-Zoura at Art Trizonis house. Submitted by Harry Karapalides.